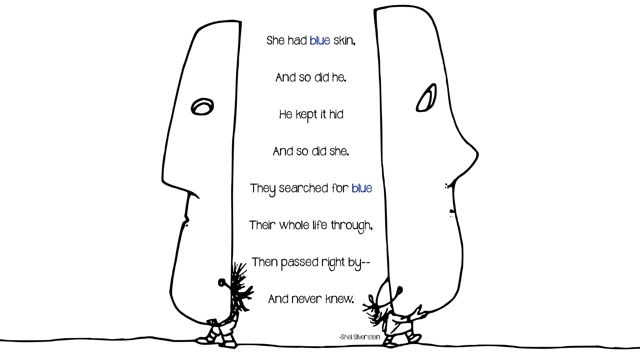 I love Shel Silverstein. Where the Sidewalk Ends is probably one of the most influential books I ever read. At a time when I was learning to be creative, it was the perfect spark for me. This, while from a different book, is a wonderful demonstration of just how brilliant he was. I guess you can’t always hide your whole self, or you may never find those common bonds you share with others.